"Graduating from University of Plymouth not only gave me a degree, but also helped me get a professional qualification for the Merchant Navy, which in turn helped me with a career both on land and sea. I came to the University for an open day. My father and I had to fly all the way from Jakarta, Indonesia, where I lived at the time; but the long trip was well worth it! I knew I wanted a career in the Merchant Navy but I did not have a lot of information about it and the different careers I could have if I didn’t want to stay at sea. During the open day the tutors managed to talk to every prospective student. They were friendly, gave a realistic approach to the course and showed the different possibilities for careers after graduation. Because of this open day, I chose to study at Plymouth. One of the best things about the course was the good mix of practical lessons and lectures. The University has a ship simulator in which we learned about navigational equipment, such as ECDIS, search and rescue techniques, collision regulations and more. The lectures were engaging and the tutors were more then happy to answer any questions we had. The course also gave me management, report writing, presentation and leadership skills - skills which have all proved useful in my current job. During my time at the University I was sponsored by container shipping company Maersk, who paid for my tuition fees and gave me an allowance each term. During my placement year I went on three container ships and one chemical tanker. The training that I received from them, along with the education I received from Plymouth, helped me pass my Officer of the Watch exam, which meant that I left university with a degree and a qualification to be a watch-keeping officer at sea. 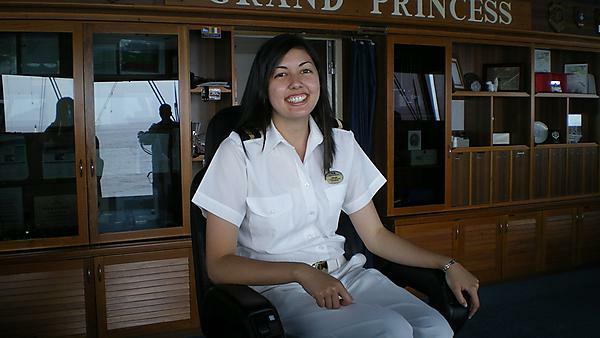 After I graduated I became a Third Officer with Princess Cruises and a year later I was offered a job on land by container shipping company CMA CGM. As Deputy Safety and Security Manager I am in charge of the safety and security on board eight ships. I have to ensure that the ships are complying with current regulations, communicate with Flag State and Classification Societies and I must be available 24/7 for the vessels in case of emergency. The best part of the job is that I still go on board the ships although, instead of driving them, I now audit them."